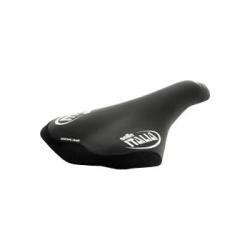 This is a tough and lightweight gel saddle that is suitable for both on or off road riding. It has a gel comfort system, a Kevlar reinforced back end and synthetic Leather cover material. t is available for men and women.